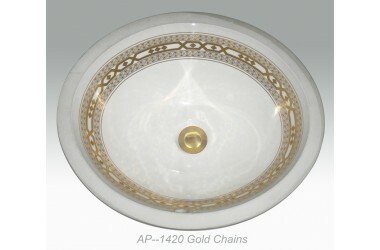 AP-1420 White Monaco Medium undermount sink with Gold Chains design. 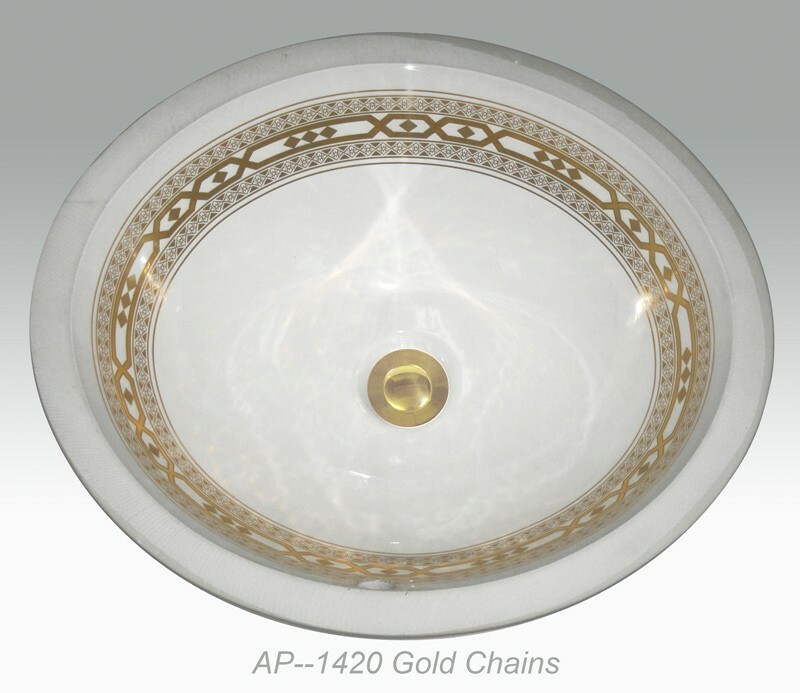 Bright gold. Inside dimension 17 1/4" x 14 1/4" x 6" depth. Outside dimension 19 1/2" x 16 1/2" x 6" depth. Center dain with overflow.